Kalamazoo College is committed to creating and maintaining a community in which students, faculty, and staff can work together in an atmosphere free from all forms of discrimination. 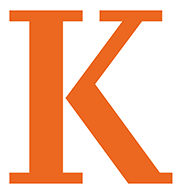 Kalamazoo College is strongly opposed to discrimination, including sexual harassment, and such behavior is prohibited by College policy. 20 U.S.C. § 1681 and 34 C.F.R. Part 106 (1972). Title IX is commonly thought of as pertaining to sports, but it is actually much broader. Title IX prohibits gender discrimination in all programs and activities of a college or university. Need to schedule a meeting with Ellen? Feel free to call, email, or click here to schedule online.